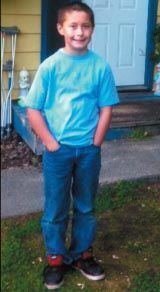 UPDATE: July 11, 2012 – Nathan has been found safe. Nathan Turpin, 11, is missing from South Anchorage, Alaska since Tuesday night. He was last seen playing outside his home in the 2000 block of Steeple Drive at about 10 p.m., said Anchorage police spokeswoman Anita Shell. Steeple Drive is just off Brayton Drive in South Anchorage. Turpin is 5-feet, Native American, 100 pounds with black hair and brown eyes. He was last seen wearing blue jeans, a dark hooded sweatshirt and white sneakers with green and blue details.